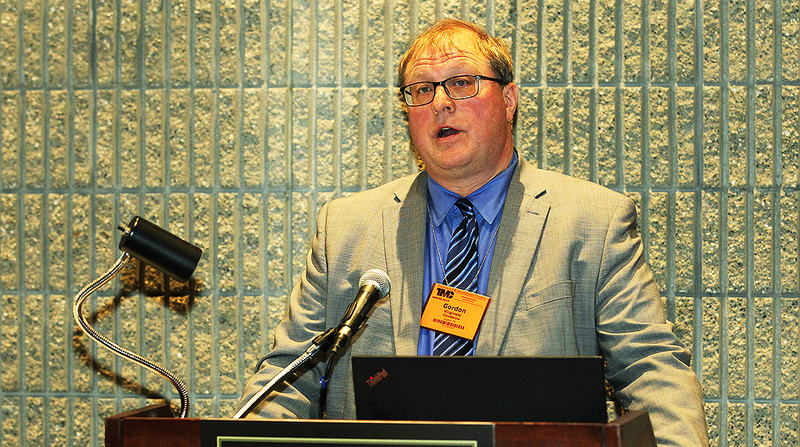 “We now have another OEM offering our product at the factory,” Gordon Virginski, vice president of OEM and dealer programs at FlowBelow, told Transport Topics after the company’s March 17 press conference at American Trucking Associations’ 2019 Technology & Maintenance Council annual meeting. The Texas-based supplier of aerodynamic products said the kit also will be available from the factory as a stand-alone option on the LT and International’s RH Series trucks. Navistar International Corp. produces International trucks. In October, International announced that FlowBelow wheel covers were included as part of a fuel-economy package for the LT Series that also included chassis skirts, a roof fairing, cab extenders and an optional bumper valance. With the addition of the new AeroKit system, the truck will offer an updated package that includes everything from the earlier kit as well as predictive cruise control, FlowBelow said. “We’re expanding our business further,” he said. Currently, trailer manufacturer Strick offers FlowBelow products as a factory option, he said. “We’re going to continue to have further discussions with other trailer OEMs,” he said. The company also is working with trailer dealers, he added.